Two weeks ago The Economist declared Toronto, my home, to be the best city in which to live, based on a detailed analysis of 50 cities. This wonderful news was announced just as we were receiving a dump of about 25 cm of snow on the cusp of February, the coldest month. This February has been particularly chilly (it’s -14° as I write this, with a wind chill of -23°). Canada is often near the top of these lists. But is it true? In my humble opinion, yes, even in February. Okay, maybe not in February. Lyon is a UNESCO World Heritage site. Even the rooftops are beautiful. Sometimes when I visit (not often enough), we travel around France to soak up even more beauty. On a recent flight home from Paris (my first time there in 25 years), I found myself wondering how I would feel this time, arriving home in Toronto. Would it seem drab compared to Paris? Is Toronto the most beautiful city? The most historic? Grand? Colourful? Do we have a winning hockey team? Amazing public transit? Spectacular weather? Nope. Rankings like the one in The Economist measure facts, not intangibles. And the facts bear out that Toronto is, for the most part, clean, safe, and prosperous. Most people feel secure, and free to live as they choose. Discrimination and violence exist everywhere, but I cannot imagine that there is a big city with much less. Income disparity? Unemployment? Check. Some things are universal. 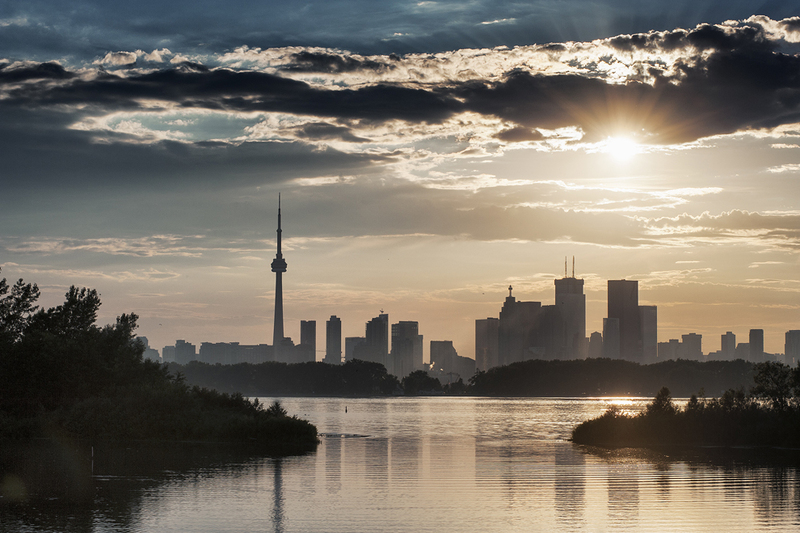 Toronto is large and diverse enough to have an extraordinary range of activity in the arts, business, sports, food, entertainment, community building, even local industry. My Chinese/Jewish/Canadian children think it’s common to dine on Ethiopian cuisine, dim sum, gyros and roti, and we can walk to all of these from our little house. My income is modest, but my children have access to good schools, and know that they can choose to pursue any path they choose, regardless of their gender or financial status. I am able to be an artist/entrepreneur without having to worry about things like expensive health insurance or punitive business regulations. It’s not easy, but it’s possible! It’s wonderful to have choices, and in my opinion, that is the key intangible that Toronto offers. And let’s not forget that snow shoveling is great exercise.